Last night F. Scott Fitzgerald’s The Great Gatsby overwhelmed me once again, this time in a totally new realm. I have seen the 1974 Great Gatsby film, directed by Jack Clayton starring Robert Redford, watched those electric party scenes over and over again with complete awe – wishing myself there, reliving the novel I became enchanted by the first time I picked it up. And I’ve read the novel countless times, falling more and more in love with Fitzgerald and the world he penned so perfectly. Nevertheless, that doesn’t take away from how special I found watching The Great Gatsby on the big screen last night. Watching Baz Lurhmann‘s The Great Gatsby last night was overwhelming and spectacular, of course for all my admiration and respect for Fitzgerald and the novel, but also because it would be the first time I would see this great American Classic come to life in my lifetime, with actors I am familiar with, fashion designers that I covet, fashion eras that I have studied and the Roaring Twenties, an epoch that I have fallen in love with, studied and written because of my admiration for Fitzgerald. The Great Gatsby, the 1920s, literature and fashion all mean so much more to me now than it did when I first read the novel, because since then I have had plenty of time to cultivate my understanding for each of these elements and neither of them has ever failed to keep my intrigue. 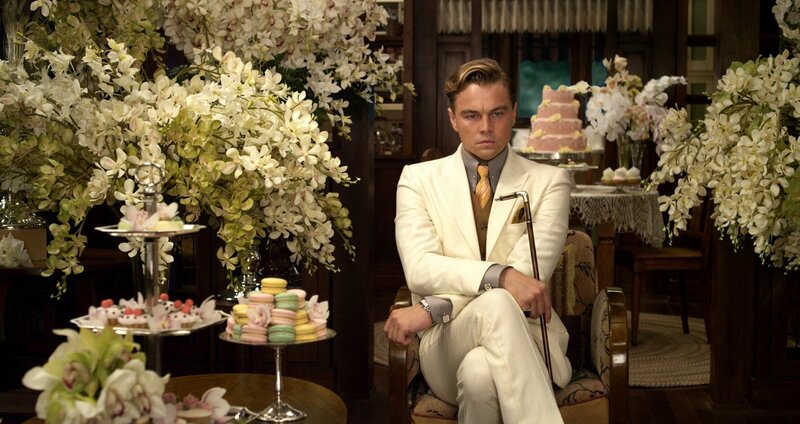 After reading reviews that claimed that the 2013 film rendition of F. Scott Fitzgerald’s defining American Modern Classic was all style no substance, my heart plummeted, I wanted nothing more than for Baz Luhrmann and Leonardo Di Caprio to raise goosebumps across the world. 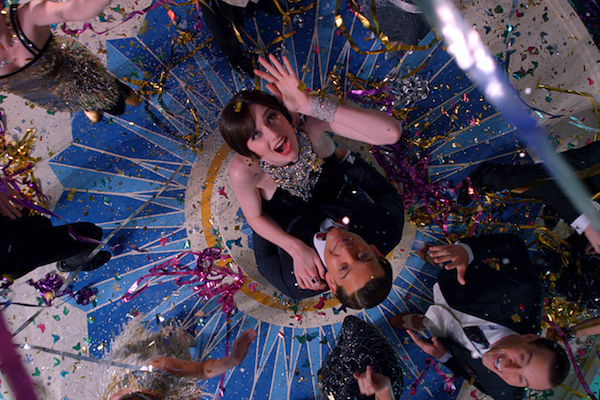 The promotion had been nothing but alluring, the trailer was magnetic, the press was sending out the buzz accordingly, designers were creating Flapper inspired collections, features on Fitzgerald and Zelda filled the pages of the Fashion glossies for months before its release and in the lead up to the premiere The Great Gatsby and all things associated had gone viral on Social Media. It was a move that was truly ‘highly anticipated’ and had been set on a pedestal to be brilliant and I wanted nothing more than it to be so. Admittedly I was apprehensive when I when I sat down to watch it, for it to be disappointing would have been heartbreaking. It takes moments to recognise the film is highly stylised, but with it it’s visually stunning and what of the novel can’t be conveyed in film has been translated into a symbolism that evokes the senses that film calls upon. Gatsby was noisy, opulent and colourful hence you hear the music, because you’re familiar with it, you see the colour because it’s almost cartoonish and emphasised and you feel the opulence, because the entire film is exactly so – opulent at all angles. 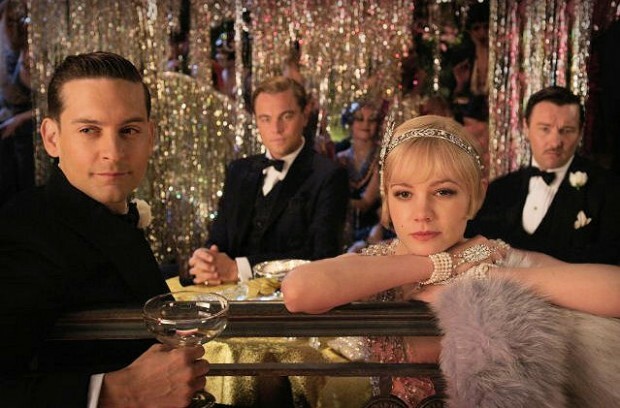 That’s the style, now the substance; I could argue that the style in itself has already offered up a pretty good foundation in itself, but if that’s all a little too floaty, then Toby Maguire and Leonardo DiCaprio’s rendition of Nick Carraway and Jay Gatsby most certainly brought the film back down to earth with their weight and substance. Of course I expected Leonardo Di Caprio to be nothing short of impressive, for me he is up there with the greats of our time, and his performance was unsurprisingly superb. However,what I hadn’t expected was, to be so moved by Toby Maguire’s rendition of Nick Carraway. I suppose I have always been so fascinated by Fitzgerald’s creation of the character Jay Gatsby, that I hadn’t given much thought to what I might expect of Nick Carraway’s characterisation in the film. Toby Maguire evoked such a sympathy for Nick Carraway that it brought to the screen a character that was just as discernible and as moving as Jay Gatsby. 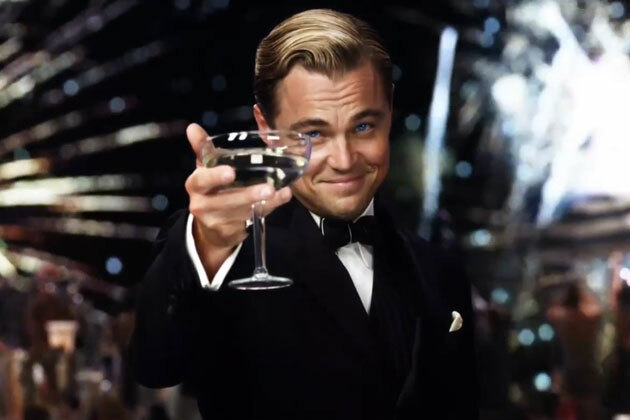 In my humble opinion, if you are going to watch Baz Luhrmann’s Great Gatsby this spring, don’t go expecting to see a perfect imitation of the pages you read in the book on screen – The Help was very successful at this achievement, as was Sam Mendes’ film adaptation of Nick Yates’ Revolutionary Road. Nevertheless, what you will see is a film director that has celebrated his visual medium by recreating the tale of The Great Gatsby in a way that is entirely exclusive to film and what you should appreciate is the chance to experience the novel in a whole new dimension. I’ll put my hands up and say, I am no film writer and that I am writing this on account of the fact that any chance I get to talk about, read about or write about Fitzgerald I will do so, but what I will say is, I wasn’t disappointed. Half way through the film I took a moment to appreciate how immersed and possessed I was by this visual marvel. The hairs on my arms were raised, my senses were stirred and there I was again, like when I read the novel, wishing myself at those parties, guessing Gatsby, growing angry at Daisy Buchanan, tingled by Carraway’s observations, hating Tom Buchanan, loving Gatsby, then feeling sorry for him, then empathising with him…. For me, watching the film was just another way I could run in the playground of the world that was F. Scott Fitzgerald and again, I was ignited. 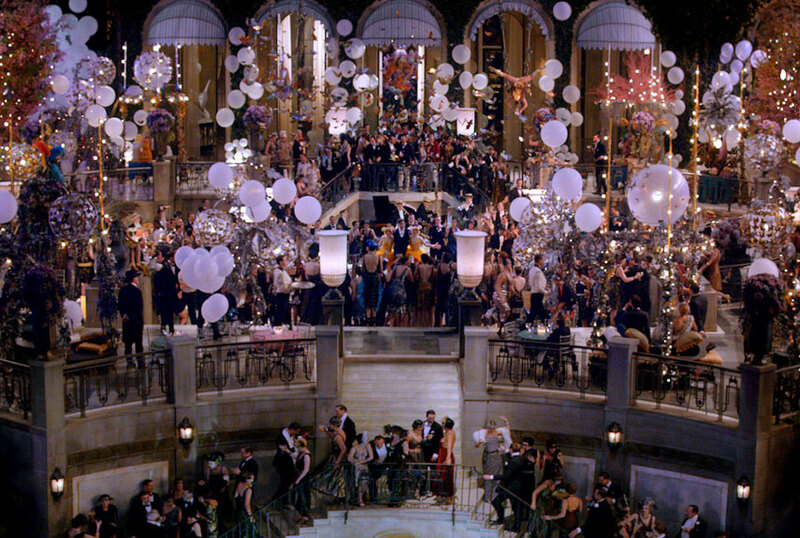 The Great Gatsby party scene – exquisite!